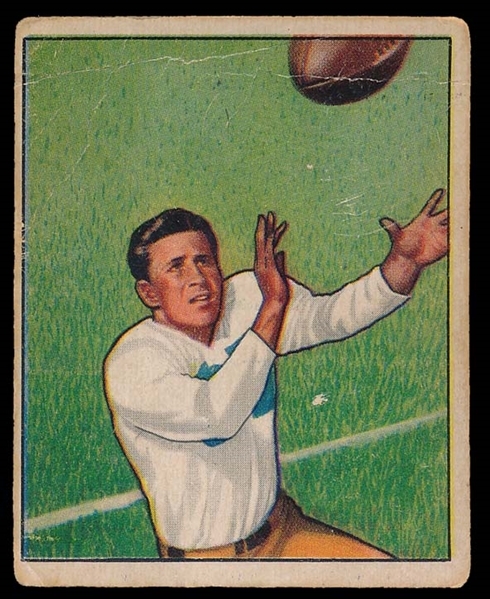 This is a very condition sensitive #1 card from the 1950 set. A star #1 card. A colorful example with nice image. Corners have wear and there is a horizontal crease across top. Back is clean (Vg).